Yeah, man. That’s what all fans of your club are thinking too. Another matchday and another 0-0 draw. For the last ten days, Manchester United were unable to score a single goal. They didn’t concede a single goal either, true, but it’s plain too see that, in terms of attacking play, recent performances were simply not enough. A team does not win the league by squeezing goalless draws – and, if anyone, Red Devils were poised to fight for the Premier League trophy after spending around 111 million on new signings. At the moment, considering Arsenal’s roaring form and Manchester City’s complete ability to beat lesser teams – things are looking grim for Louis van Gaal and his acolytes. To put it simply, tedious play brings them tedious results. That’s what MUFC’s football has been these days; the complete opposite of a joy to watch. Which, by the way, was extensively criticized even by their most die-hard fans via social media all through the last week. If the team is still in a close contention for silverware – it’s because of their outstanding back-four. Or, to be precise, back-five, since both Sergio Romero and out-of-exile David De Gea performed excellently this season, making the combined number of 30 saves out of 38 shots they’ve faced in BPL so far. Devils knew what they were doing when they captured the signing of Matteo Darmian from Torino. The Italian full-back had a cracking début against Tottenham and didn’t ease off the gas even when the circumstances forced him to play down the left flank. Neither did Marcos Rojo, initially doomed to rotting on the bench. After Luke Shaw’s horrific incident against PSV Eindhoven, the Argentinian took a chance to prove his worth to van Gaal’s team – and was easily the best MU player both in a home derby and an away, Crystal Palace game. Nothing more could’ve been asked from those four. United’s defensive assets don’t end there; in fact, it’s just the beginning. While Manchester City were struggling with Vincent Kompany’s injuries and Chelsea was hit by John Terry’s catastrophic form, Chris Smalling, slowly but surely, has transformed into a leading centre-back in England. Being the only United player to appear from start to finish of every single Premier League game this season, he’s hardly made a single error while dominating the club’s clearance-rate charts (6.5 per game!). When Smalling’s usual partner, Daley Blind had to step back and concede his first-team spot to Phil Jones, it didn’t really affect MUFC’s overall performance. After all, all three centre-backs have now Morgan Schneiderlin clearing the space before them – and that guy is so adept at winning the ball through intercepting or tackling it, it makes everyone else’s life much easier. It’s going forward what’s been an entirely different, much bleaker, story. Over those three drawn games, United managed to accumulate 17 shots. Eight of them went wide, one hit the woodwork and eight got saved. However, if we subtract Middlesbrough from the equation, it turns out that van Gaal’s lads had only two accurate goal attempts in 180 minutes! To a team that took pride from having Dwight Yorke, Ole Gunnar Solskjaer, Ruud van Nistelrooy or Robin van Persie – that’s a severe decline. What’s worse, we’re seemingly moving further and further away from witnessing those forwards’ successor: Anthony Martial, widely expected to be that man soon, was recently reassigned to a winger’s duty. And with just 81 goalscoring chances created this season (the second-worst number in the entire league! ), goals won’t happen in the absence of a truly world-class striker. It would’ve been easy to suggest that every MU player has a fair share of the blame for this mess – but it would’ve also been wrong. In reality, two players are the least responsible for the lack of a cutting edge. Juan Mata and Ander Herrera have provided five goals and four assists this season, even though one of them is being constantly played out of his natural position, and the other one had less than 50% of playtime available this season. Those are the players who have natural flair at splitting the opposition’s defences as well as some solid finishing skills to wrap it all up – but they cannot thrive on that if they’re having to accommodate to the system rather than having the system accommodated to them. Still, even in a current state of Red Devils’ attacking tactics, those two are outscoring and outskilling most of their teammates – which tells a lot about the quality of La Liga’s import. The shockingly expensive Martial’s transfer was overall, a good purchase, but it also has to be seen as a desperate attempt to improve the attacking quality of a team in a post-Van Persie era. With the Dutchman not having the legs to do his job anymore, with Javier Hernandez inexplicably pushed out to Leverkusen, with James Wilson not developing at fast enough rate – a big burden was put on the 19-years old lad’s shoulders. So far, he’s repaid his massive fee with five goals and one assist: a return good enough for a Premier League rookie but certainly not good enough for ‘the future Thierry Henry’. It not out of question that the lad might yet explode with more goals and memorable days like the one against Liverpool seven weeks ago – but expecting a teenager to be in charge of finishing chances for world’s third-richest football club would be, to say the least, naive. Still, Martial’s early struggles with Premier League’s demands are nothing compared to the utter disappointment Memphis Depay has been. Brought from PSV for £25 million, he had the reputation of a skilled dribbler and a class free-kick taker capable of giving the team the entire new dimension down the left wing. Three months later, we’ve learned that none of the above was actually the truth. Recently, United have claimed that the actual Depay’s fee was £19 million – and the player himself has earned a reputation of a selfish winger and a terrible finisher. The Dutchman needed 24 attempts to score his first BPL goal! 30-years old Ashley Young, previously considered a sort of a nuisance for the Devils, had by far, a miles better season than Depay, who’s been reportedly having problems with a cocky, ‘big-star’ attitude – something that’s been unthinkable in Alex Ferguson’s days. So that problem leaves only one man on duty of running the show. Wayne Rooney; old, good Wayne Rooney, once considered to be England’s one-in-a-million talent. He really did have the potential people have seen in him – and, to be honest, the way he fulfilled it has pretty much doomed him to remain one of the most underrated Manchester United players ever. For the greater good of his team, he’s gone a long way from a natural-born goalscorer, to a number 10 forward and later, even a typical central midfielder. 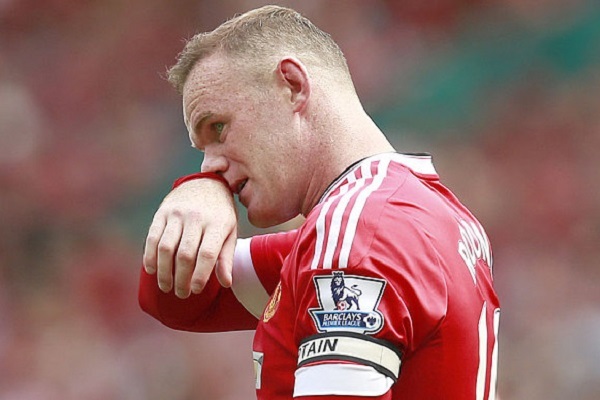 That transition was good for Manchester United’s results: but it wasn’t good for Rooney himself. Today, with goals being needed desperately, the 30-years old lad from Liverpool is attempting to go back all the way he’s gone before – and it’s not working, because neither his brain nor his legs are tuned to score goals anymore. In other words: his skills took one for the team. This leaves Louis van Gaal with a Giant Elephant in the Room. As Rooney cannot perform in a striker’s role and has a more than adequate replacement in form of Herrera, he should, by all logic, hit the bench – at least for a while. But how can he? How do you bench your team’s captain and the earner of a ludicrous £300.000 wage? Unless you have a 100% guarantee that the team will massively improve from that – you just don’t. And that leads to symbolic situations like the one at Selhurst Park, when Rooney tried to chase a brilliant pass from Martial. He positioned himself decently and got away from Scott Dann quite easily – but when it was time to take a critical first touch, his control just wasn’t there. Once he missed the ball with a left foot, things were easy for Wayne Hennessey to wrap up – and that was arguably the best chance MU have produced at The Eagles’ home ground. It’s been nothing more but a war of attrition between Pardew and van Gaal this weekend, but Palace (estimated value of starting eleven: £44 million, as compared to MU’s £111 million in buys alone) were going toe-to-toe with the visitors. Bolasie had a crossbar shot from Dann’s smart layoff and at least two corners caused a huge stir in United’s penalty area, but more significantly, the hosts were way more dangerous on a counterattack than the visitors while in control of possession. There was no significant difference between Yohan Cabaye and Bastian Schweinsteiger in terms of controlling the flow and after the break, it was actually the London team that returned more determined to change the scoreline. Smalling and Darmian were forced to save the team by getting booked and Herrera should’ve got a yellow too for an ugly stamp on Cabaye’s foot. Blood, sweat and tears – that’s what it was. With pace out wide and the middle locked up well, it was Pardew’s team that could’ve and should’ve scored at least one goal. Fortunately for United, they were way too impatient to build-up a good enough chance. The long balls to Gayle didn’t work at all and when their fast wingers were able to lose their men, no central midfielder followed to capitalize on the second balls deflected in front of visitors’ area. Palace were scared of overcommitting: the duels were going mostly in their favour, but the distances between their formations remained too large and MU easily disposed of the long-ball play style. Eventually, van Gaal brought in Marouane Fellaini – probably to bolster the team’s aerial ability even more. Ironically, right after that, Ward’s cross finally reached it’s destination and Cabaye missed the best scoring opportunity the hosts could’ve dreamt of in such match. 0-0. This result obviously revitalises the transfer rumours. Along with preposterous gossip like Gareth Bale and Cristiano Ronaldo, there go the other, more realistic ones: such as £40 million for Lazio’s Felipe Anderson or £15 million for Newcastle’s Ayoze Pérez. Leicester’s revelation Riyad Mahrez is not out of question either – but, until January, the only viable cure to the goalscoring impasse seems to be: Rooney on the bench, Young on the left, Herrera as #10 and Martial upfront. In fact, this might be the only forward-four configuration van Gaal hasn’t tried yet. The testing grounds are all set and ready: CSKA Moscow tomorrow and very resillient, very cautious teams of West Bromwich and Watford afterwards. About time to finally break away from this ugly, David-Moyesque style of playing. 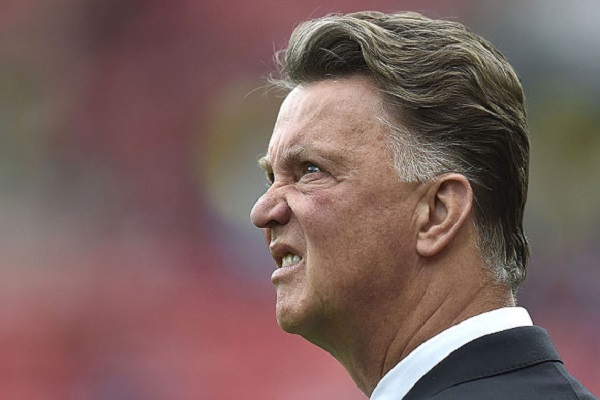 Or, maybe not – because, who on Earth knows what Lous van Gaal is keeping in the back of his head?